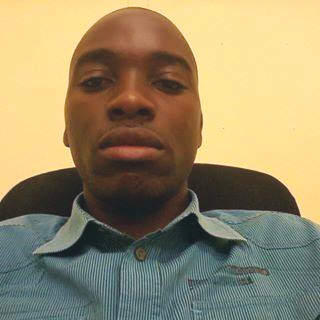 The murder and attempted murder investigation into the shooting incident in the centre of Windhoek on Monday was extended to include the lack of security measures at the entrances and exits of the building where the heinous murder was committed as well as why Simataa Simasiku handed himself over to police in Wanaheda instead of the Windhoek Central Police Station a few hundred metres from where he shot and killed Sarah Mwilima and wounded Ester Nepolo. The motive for the murder is still under investigation but when Simasiku surrendered to police he confessed to shooting the two women in the office building where he also worked. According to Deputy Commissioner Edwin Kanguatjivi the fact that Simasiku was able to enter the building unhindered, while armed with a Macarov pistol, go up the lift to floor where he committed the heinous crime and follow the same way out again without being accosted by any of the security personnel on duty, now also forms part of the investigation. The investigation was also extended to establish why Simasiku chose to surrender himself at Wanaheda instead of Windhoek Central. Deputy Commissioner Kangutaivi said the fact that Simasiku was able to walk into the Wanaheda Police Station while still armed with the pistol, is also under investigation, because he could have killed or injured other members of the public or even members of the police. When Simasiku surrendered himself to police officers, he confessed to the cold blooded murder of the 51-year-old Mwilima. Simsiku is still to make his first appearance in the Windhoek Magistrate’s Court on the charge of murder and other charges related to the case. The control prosecutor at the Windhoek Magistrate’s Court, Hans Tourob, said upon inquiry on Tuesday that the Namibian Police did not bring the case docket to court early in the morning and indicated that the police have expanded their investigation into the matter and that they are still gathering statements from people who witnessed the incident.